We pride ourselves on providing a platform for businesses to create high-quality connections – through our member database, or face to face at one of our many networking events. We love to see our members connect and collaborate. One such example is the partnership formed between Edinburgh Trams and the Edinburgh Dog & Cat Home. We invited Dean Anderson of Edinburgh Trams, and Nicola Gunn of the Edinburgh Dog & Cat Home to share their experience and their story. 1. Why did you both join the Chamber? 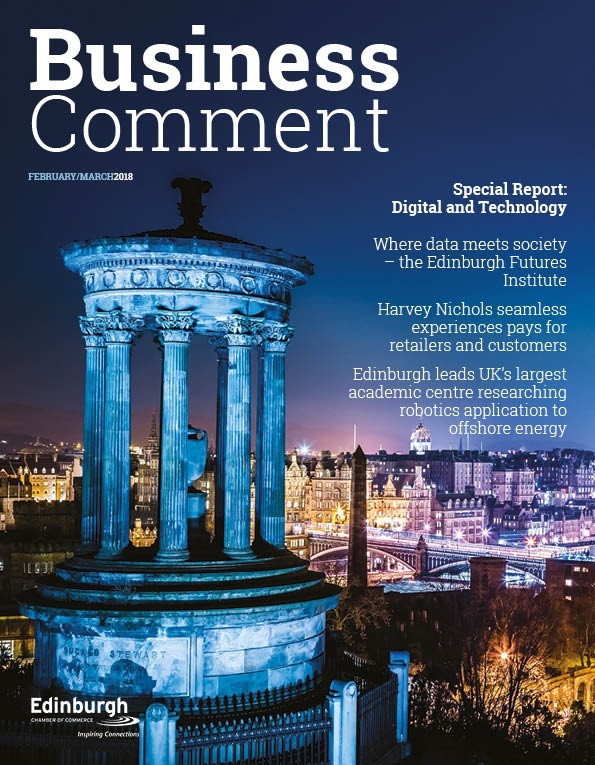 Nicola: We joined the Chamber as part of our new fundraising strategy was to increase our corporate network, building awareness and support for our work in the Edinburgh business community. 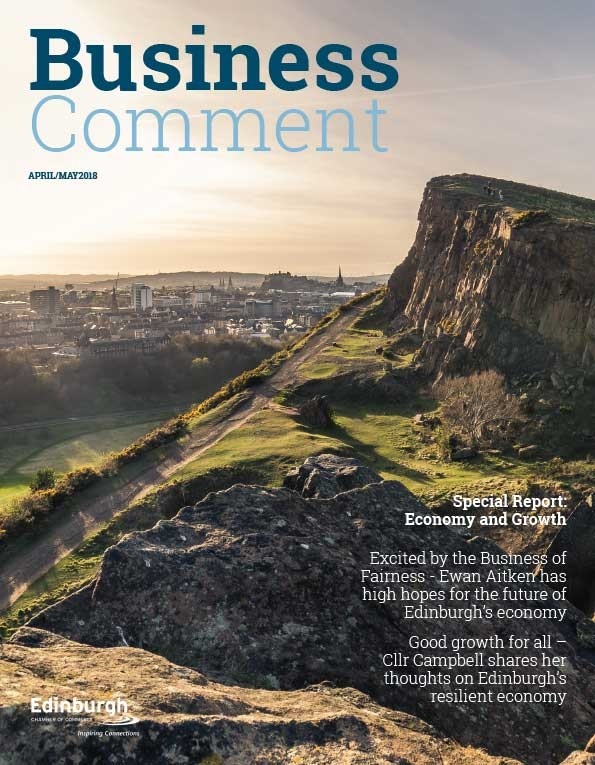 As the Chamber is a well-respected organisation we thought it was an ideal place to start. 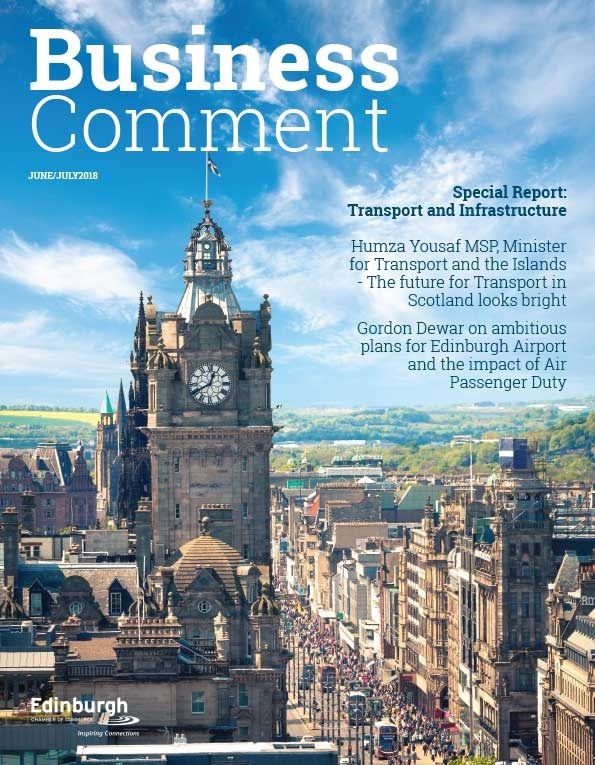 Dean: We joined the Chamber as part of the development of Transport for Edinburgh in 2013. We found the Chamber to be a well-respected organisation with high level members who are keen to network and discuss opportunities to collaborate, and the Chamber is key to us in developing these relationships. 2. How did this partnership begin? Nicola: Edinburgh Trams got in touch to advise us that we had been put forward as one of several charities for staff vote to select their first ever charity of the year partnership. We were delighted to receive the majority vote and the partnership started from there! Dean: We were keen to work with a local charity but wanted the staff to pick which charity that would be. Out of all the charities in Edinburgh and the Lothians, our staff nominated and overwhelming voted for the EDCH. 3. What role has the Chamber played in this collaboration? Nicola: Our CEO Howard Bridges met Edinburgh Trams HR Manager Sue Bucher at a Chamber Dining Club networking meeting, Sue subsequently put us forward as one of the charities for the charity of the year staff vote. Dean: We first met at a networking event through the Chamber which was coincidently a matter of days before our staff voted for them as their Local Charity of the Year. Having already made the connection, we got off to a quick start. 4. What value have you received as a result of this collaboration? 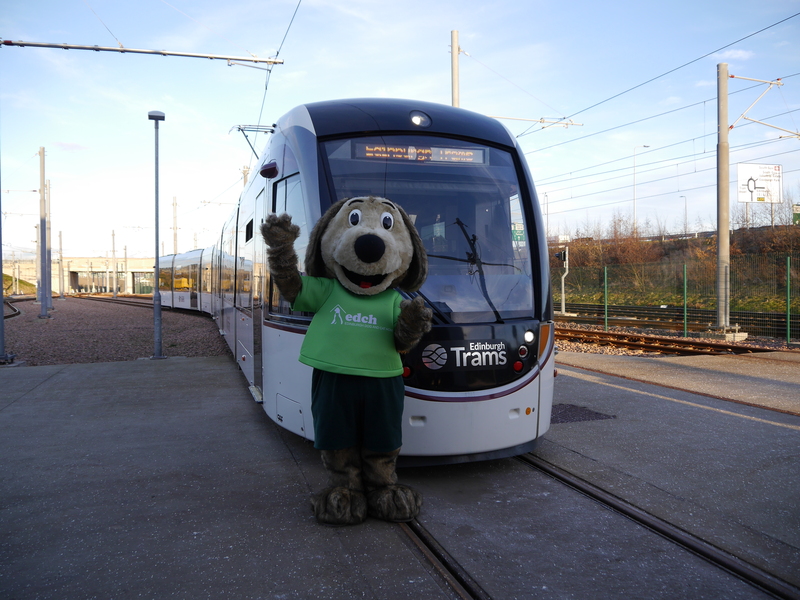 Nicola: The charity of the year partnership with the Trams is such a valuable relationship for Edinburgh Dog and Cat Home. Not only are we receiving support from the business and its amazing employees but we are also able to raise awareness of our work with the Trams customer base too – people we may never have reached otherwise. Our mission is to rescue, reunite and rehome stray lost and abandoned dogs and cats across Edinburgh and the Lothians and this partnership is key to helping us do just that. Dean: Not only have we raised money for a great cause but it’s also provided a way for our staff to become involved in our business activities and take part in events such as the charity cycle. It’s always nice to have a break from transport and talk about our next activity for EDCH. 5. What do you love most about your membership? Nicola: Edinburgh Chamber of Commerce offers a wide variety of networking and training opportunities which means that you are never stuck going to the same old event again and again. The huge member directory means you are always guaranteed to meet new contacts at each event which is ideal when you are looking to expand your network like us. We also love that since joining we have really got to know some of the Chamber team, they genuinely care about and look after their members. Dean: Making connections goes without saying. We’ve attended many networking events over the years which are not only interesting but a great way to meet people in business. Our connections have led to some fantastic work not only with EDCH but other members too. We’ve also hugely benefited from training arranged through the Chamber. Our Customer Experience team enjoyed it so much we went on to work independently with the training provider.